We recently contacted anglers to encourage more people to return more of the salmon that they catch. Many have asked us what else we are doing to protect stocks. Salmon stocks are assessed as 'at risk' in 16 of England’s 42 salmon rivers. Many problems are expensive to fix or have no quick solution. Reduced survival at sea is an important factor, but our most practical opportunity to restore stocks is to address issues in our own rivers and estuaries. In difficult economic times, I know we have our work cut out. Removing barriers to salmon migration takes time. 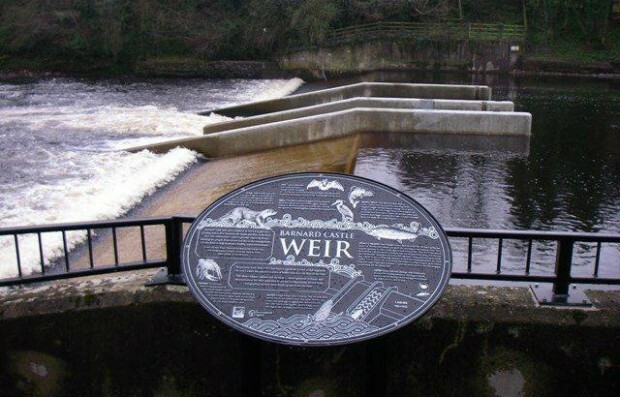 Last year we installed 37 fish passes and improved access to 900km of river. There are a further 334 barriers that still need to be removed. Since 2008 we have removed or reduced 107 unsustainable licensed water abstractions. Balancing environmental protection with the demands of an increasing population and a recovering economy remains a challenge. There may be tough choices ahead, but we can all help by reducing domestic water consumption. Our river basin management plans bring many organisations together to address complex land and water use issues. We are updating these plans for the next 6 years. From 22 September, you will be able to comment on our draft plans - I would urge you to contribute by registering on our consultation portal. The average annual salmon net catch has fallen by two-thirds since 1996, as we have reduced the number of licences available. In some cases, this has been made possible by the salmon community compensating netters for their loss of livelihood. The north-east coast remains England’s largest fishery, taking over 90% of the catch. Drift netting here continues to be phased out, with only 13 licences issued in 2013. The government has asked us to close drift net fishing altogether from 2022. In 2017 we will look again at the future of fixed beach netting. We make sure net fisheries remain sustainable by managing the number of licences available. In the Severn, Solway, Tamar, Tavy and Lynher estuaries we have recently capped the individual netsmen’s catch. Thanks to our enforcement officers’ professionalism and strong local partnerships, we no longer see the levels of illegal fishing of the 1970s and 1980s. However, it remains a risk on many rivers. We have recently prosecuted people for offences on the rivers Tees, Wear, Ehen and Taw, along the Cumbrian coast and in Poole Harbour. We are taking a more risk-based approach to enforcement. Rather than responding to every report of illegal fishing, we can have a more lasting impact by focusing on the most serious criminal activities. This relies on your help – please continue to report illegal fishing to us on 0800 80 70 60. We will always put the information you provide to good use. The issues facing salmon remain serious. With time, some hard choices and different approaches, I am optimistic that there is still much we can achieve in partnership. Sarah Chare is Head of Fisheries at the Environment Agency. You can follow @SarahChareEA on Twitter. Can you explain why, in light of the above article, you are closing down three salmon and sea trout hatcheries in Wales ? I fish and bailiff a stretch of the river Kent in Cumbria.Salmon and sea trout catches by rod and line has decreased alarmingly in recent years. This reduction appears to coincide with the increased population of goosanders and cormorants which points to a correlation. etc,its no wonder catches are down. Am i right in my thinking?and if so when can we see some reduction in the numbers of fish eating predators. We have seen decline in numbers of Atlantic Salmon in almost all rivers across the North West and Scotland in recent years. We continue to work to improve habitat, water quality, fish passage at barriers to spawning grounds and tackle diffuse pollution to reduce sediment loads. We know there has been a marked decline in the numbers of Salmon returning from the sea which is part of a larger, multi-nation problem. Current information shows that in the 1970’s around 30% of young Salmon which entered the sea, returned as adults, this figure has fallen to somewhere between 5 and 10%. More research is required and this was discussed at the EA Salmon Summit with all interested bodies and Government ministers last month.